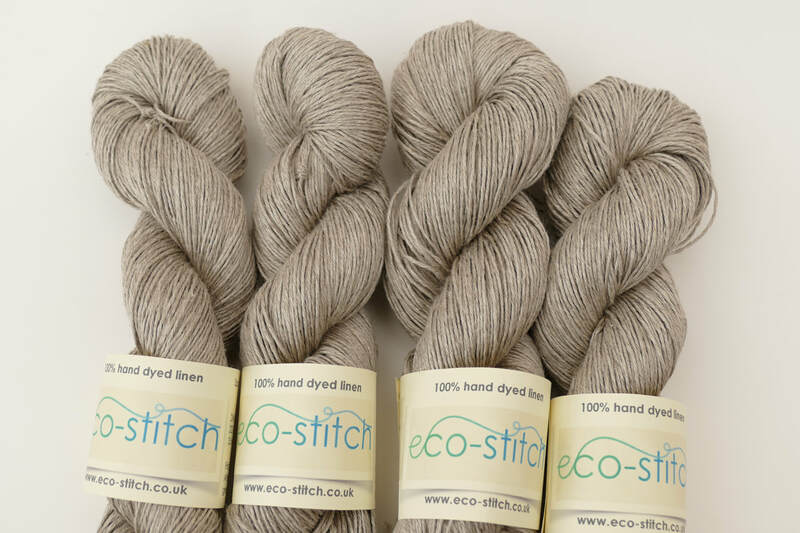 eco-stitch - Natural qualities and useful ideas for pure linen. 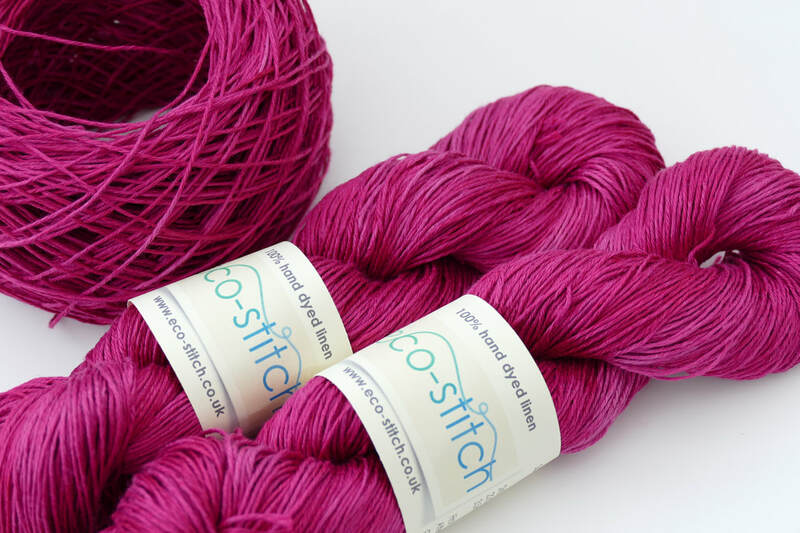 There has been lots of dyeing here at eco-stitch over the Winter months. 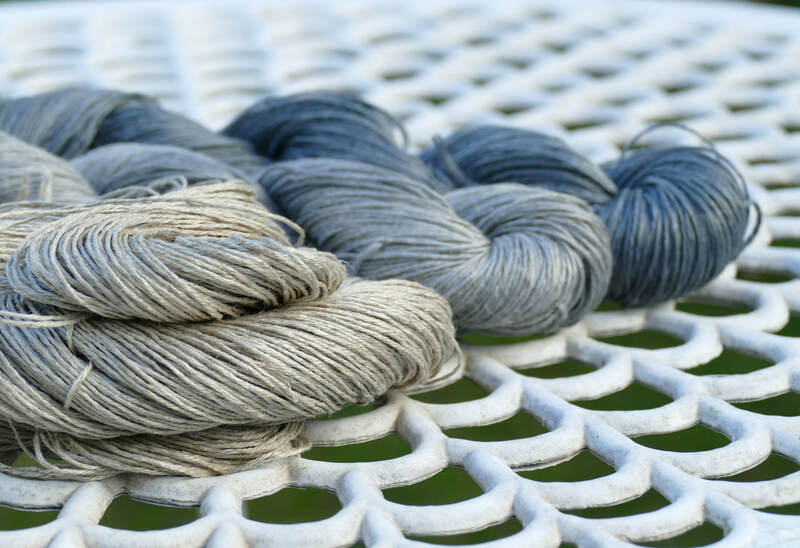 Our focus has been mainly to develop the range of colours available on natural linen yarn (unbleached). This range is called LinenNaturals. Due to the already naturally strong colour of the yarn, beige/grey, it is of course impossible to achieve pastel colours. However, we have managed to come up with a series of lighter colours, which look beautiful together, teamed up with the Natural or even the darker colourways. There are now 5 shades of grey in our shop. Cloud, Steel and Kohl are dyed on a white base. 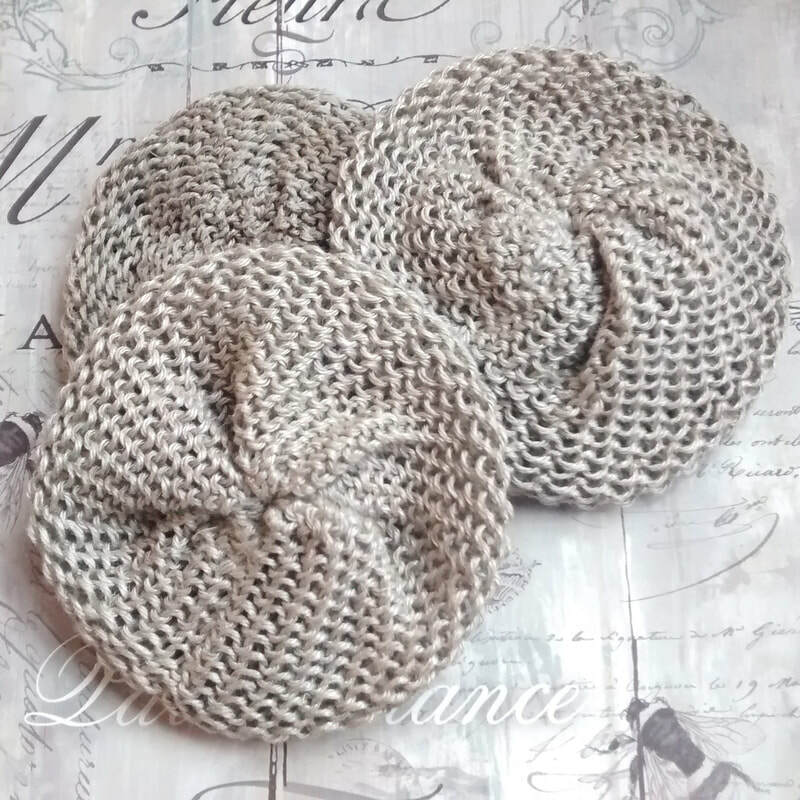 Pewter and Anchor are dyed on a natural silver/beige base. They are all semi-solids. The newest addition to the family is Kohl, our darkest grey. In this line-up, from left to right: Cloud, Pewter, Anchor and Kohl. 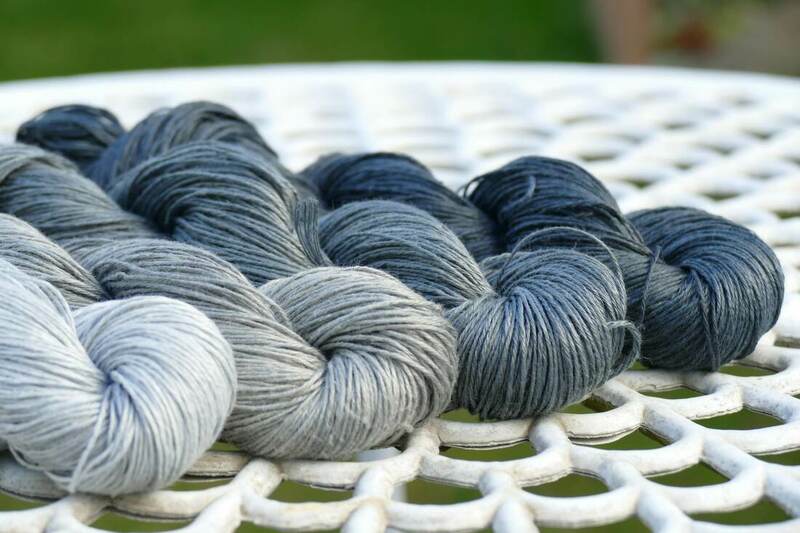 The following photos show the greys next to their respective yarn bases. A very happy New Year to you all, wishing you health and happiness for 2019. I have finally returned to my dye pots after a few weeks off from dyeing. 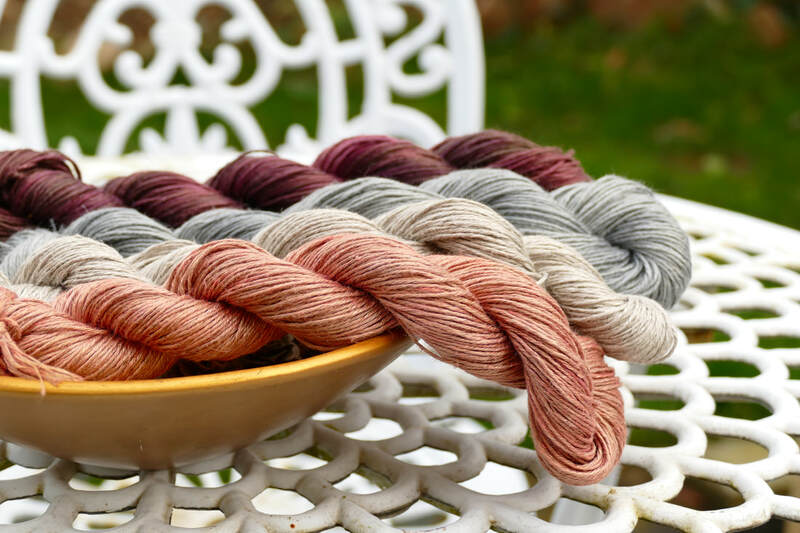 The weather in November and December here on the island was very grey, wet and windy, with little sunshine, not at all conducive to producing hand-dyed yarns. 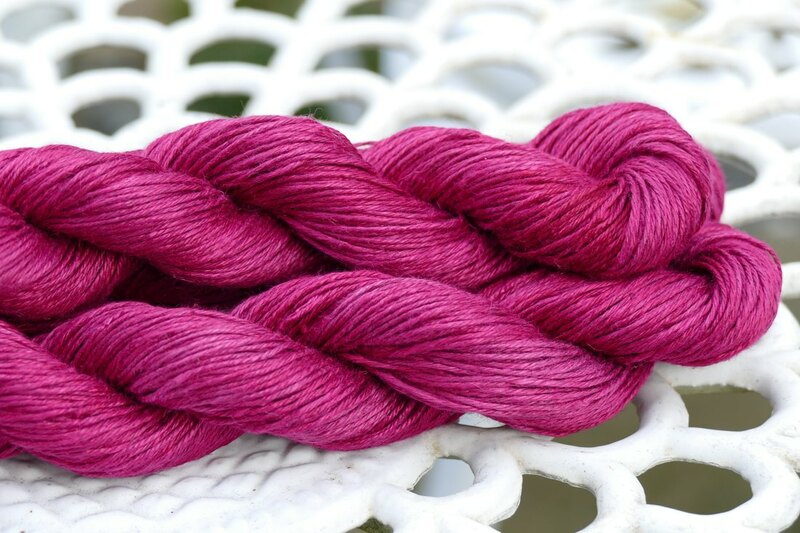 Below is the colour that I have been dyeing this week. 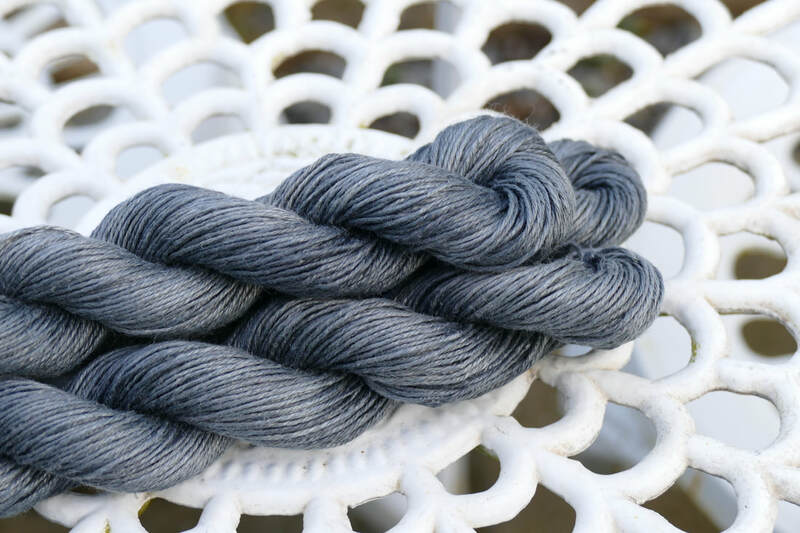 It is called Anchor, a beautiful mid-grey on a natural linen yarn base. If you look closely, you can see the silver/beige undertones of the natural yarn showing through. I have a feeling this colourway is going to be popular this year. As soon as the skeins are dry, they will be added to the shop. 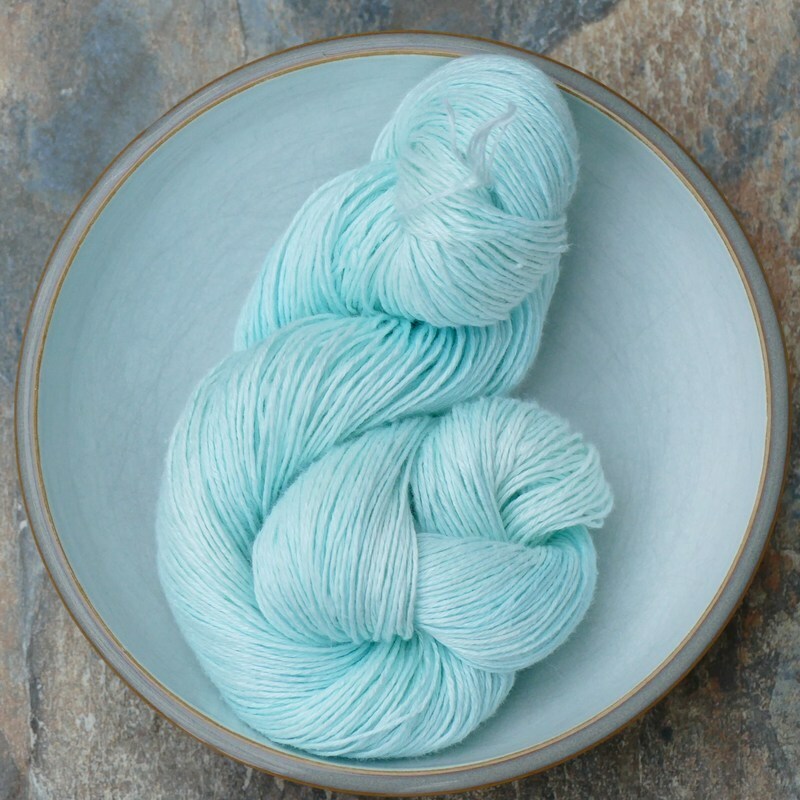 This yarn is part of the LinenNaturals range (hand-dyed on a natural base). 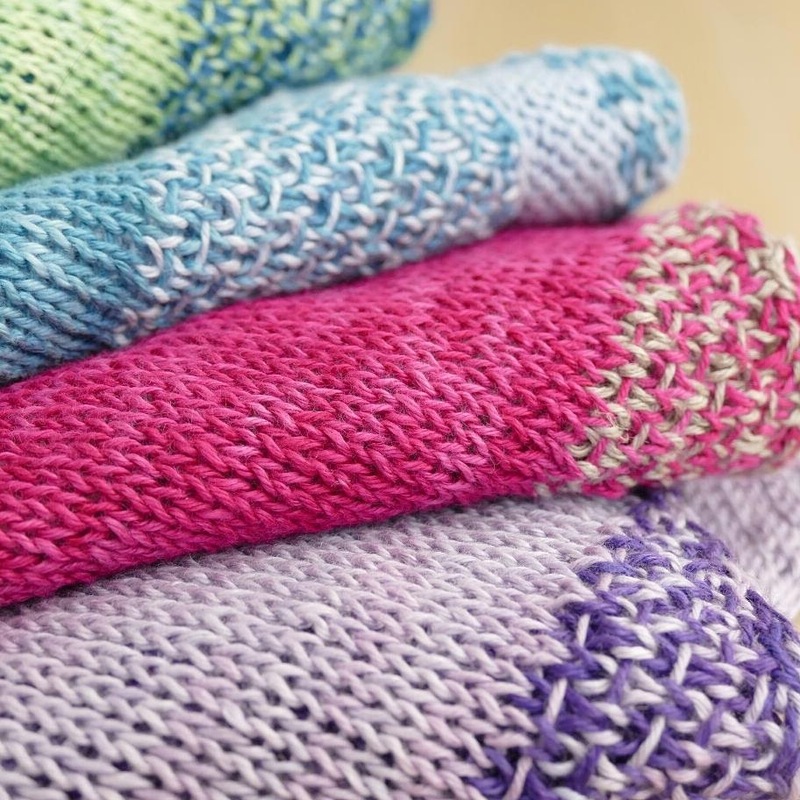 Although it is a sport weight yarn, it can also be knitted or crocheted as a DK yarn. 2019 will bring more new colours in this range. Watch this space! SPECIAL OFFER and 2 new colours. 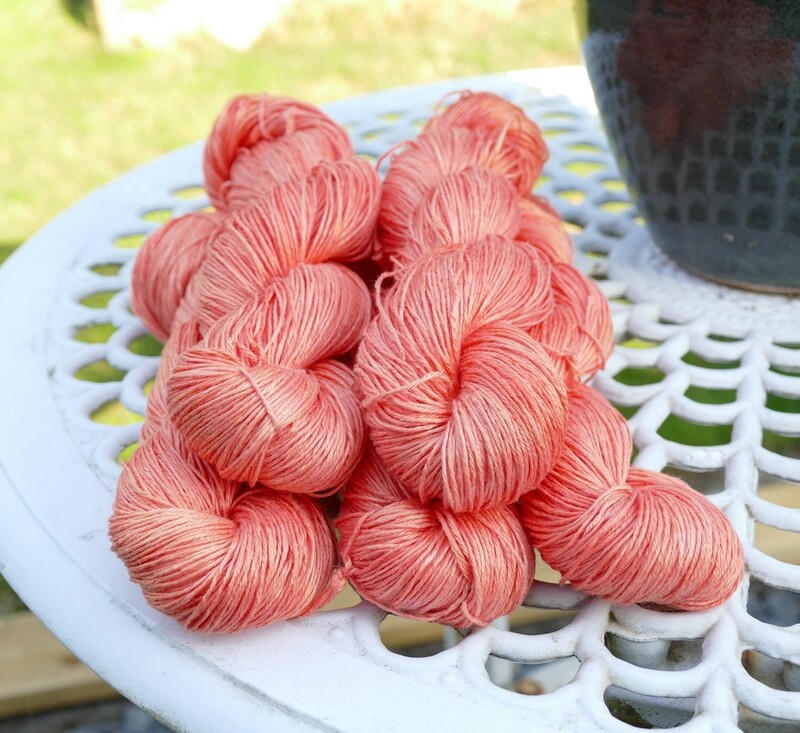 Our hand-dyed sport linen is currently £12 for a 100g skein instead of £14.40 until 31 August. On top of that, the newly-released Simplicitee pattern is FREE if purchased with eco-stitch sport yarn. Time to cast on for a new project? Shown below are our 2 latest colour ways: Pumpkin and Parma Violet (semi-solids). As its name suggests, this is a quick and easy knit, giving you a comfortable, loose-fitting garment with lots of drape. The colour combinations for the stripes are endless. 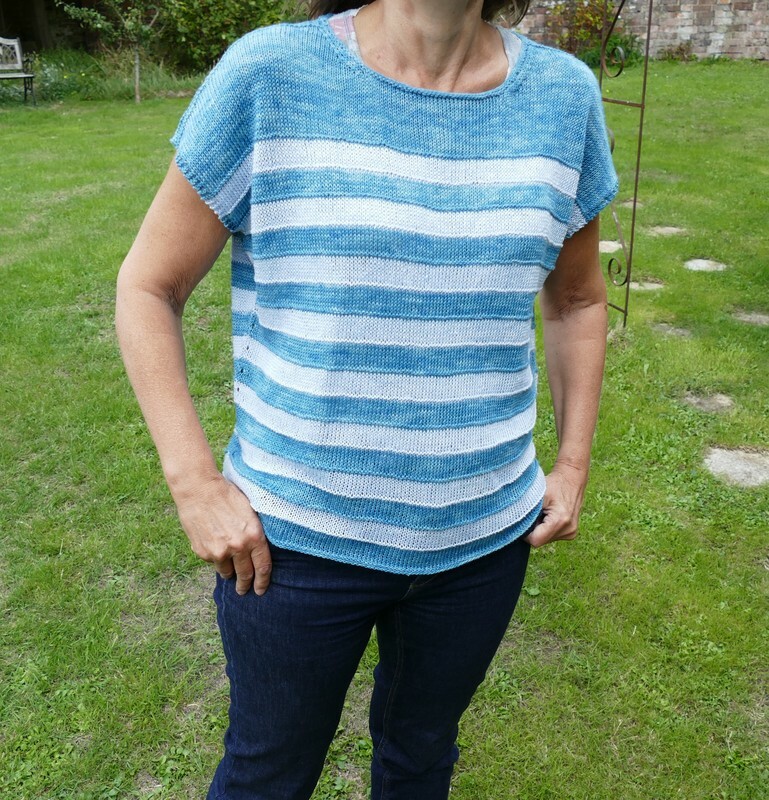 The top is knitted bottom-up and the pattern gives you the option of knitting flat in 2 separate pieces which are seamed to finish, or knitting in the round in one piece resulting in no seams. 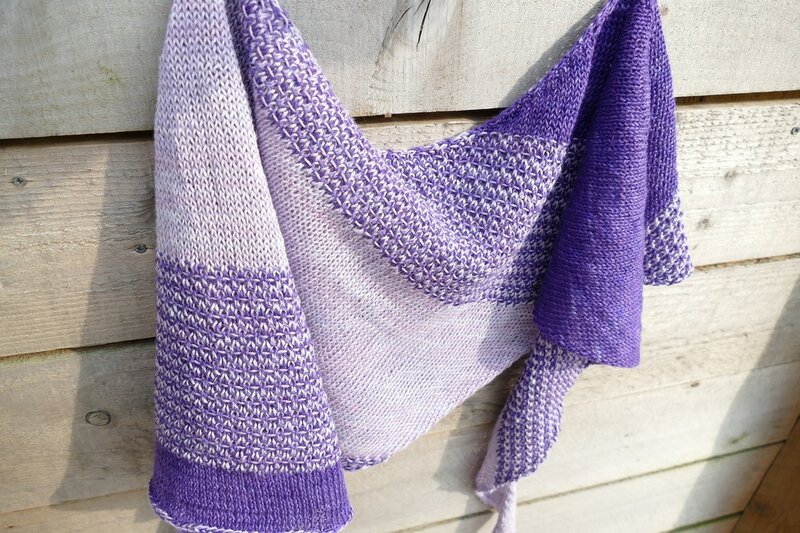 The pattern is FREE if purchased with eco-stitch hand-dyed sport linen yarn to make it (4 - 5 skeins). Coupon code SIMPLICITEE. 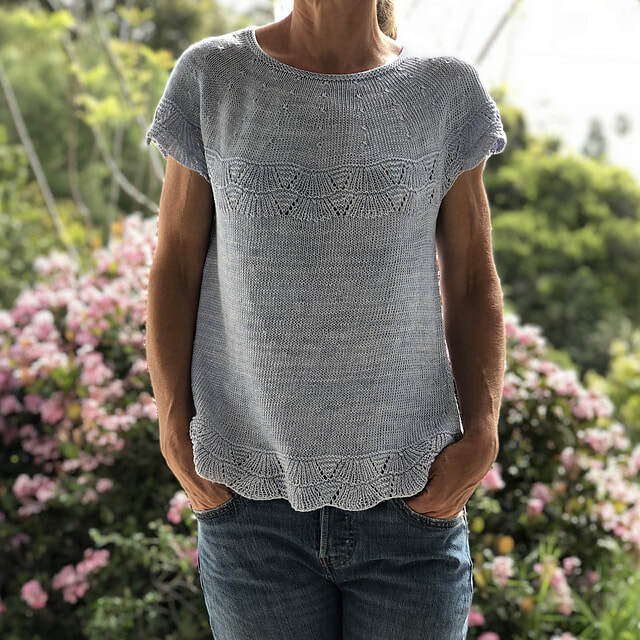 The sample you see below is made with Seaspray and Serenity and is knitted in the round with eyelet side increases (one of the optional design elements of the pattern). Would anyone be interested in test knitting? 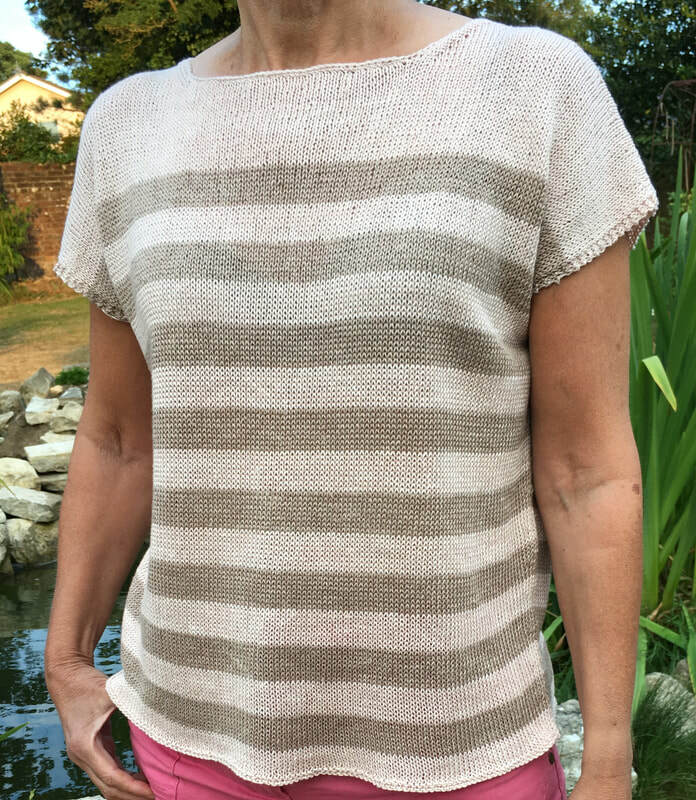 I have just finished knitting 2 linen tops to a dual-level pattern I have designed, called Simplicitee. The first (Easy level) is made with plant-dyed yarn (avocado pits) on white and natural linen and is knitted flat and seamed. 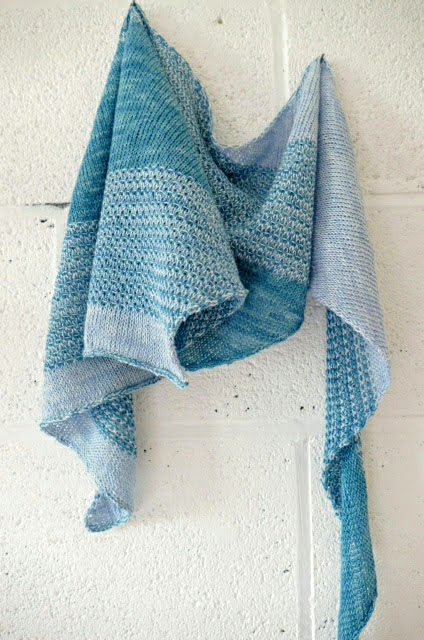 The second is made with Seaspray and Serenity and is knitted in the round with short row shaping (Easy Plus). Instructions for both versions are included in the pattern, which will be published towards the end of August. Details on my Ravelry group page here. 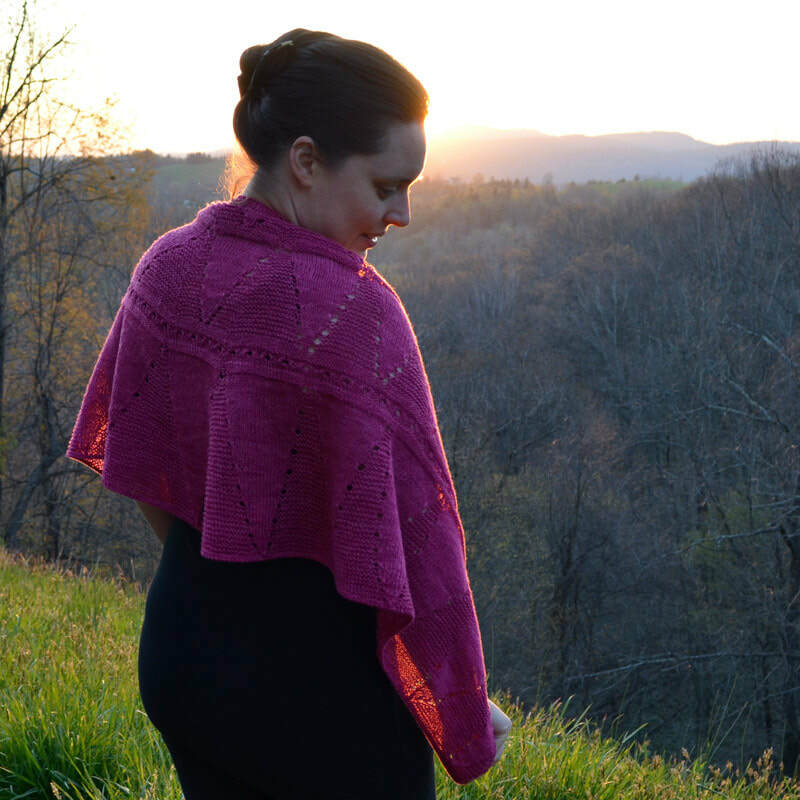 Lindsay Lewchuk (aka KnitEcoChic) has just released a beautiful shawl pattern called Awaken. 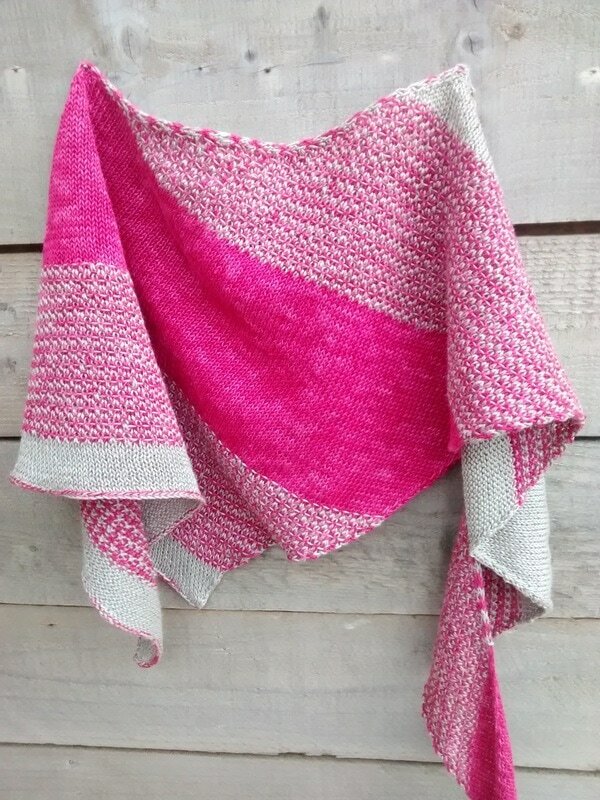 Here is her sample made out of eco-stitch linen sport yarn in the colour Hot Pink. 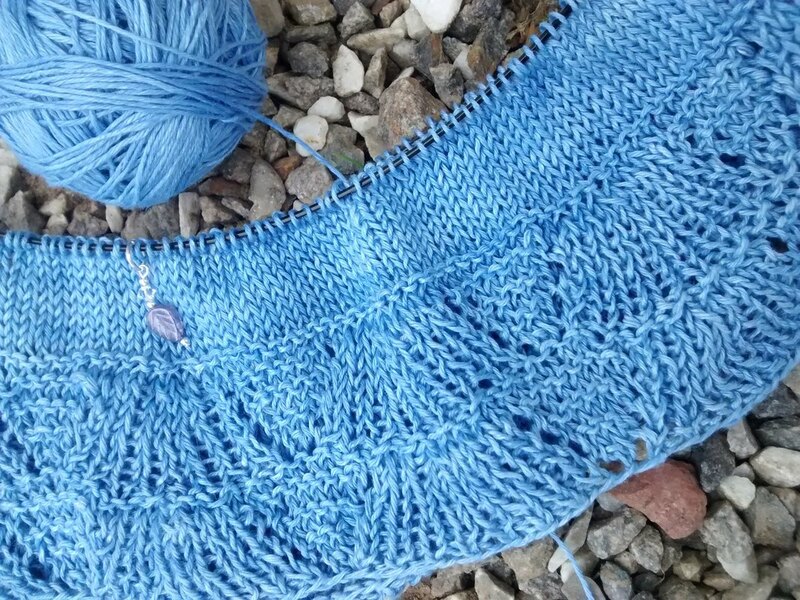 The shawl can be made in 2 sizes and is an ideal Summer knitting project. You can find more details about the pattern here. "Awaken to fresh stitches! Sunrise, sunset, whatever your time of day – enjoy an awakening of your spirit in the beauty of the rising or setting sun while clicking your needles away. Toss your knitting needles, yarn, and pattern in a chic knitting bag and prepare for a joyful encounter with the sun. 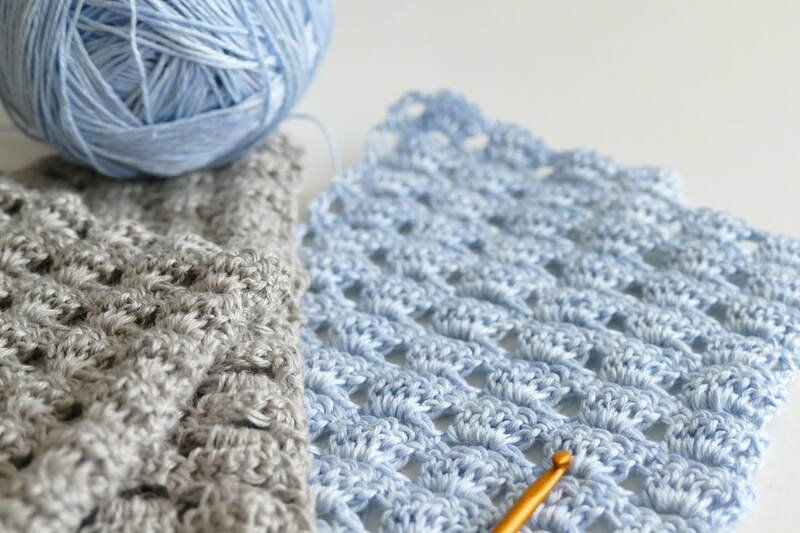 Then marvel in some breathtaking moments while awakening your stitches into your Awakening shawl.The tech edited and test knit intermediate level pattern is fully written and fully charted." 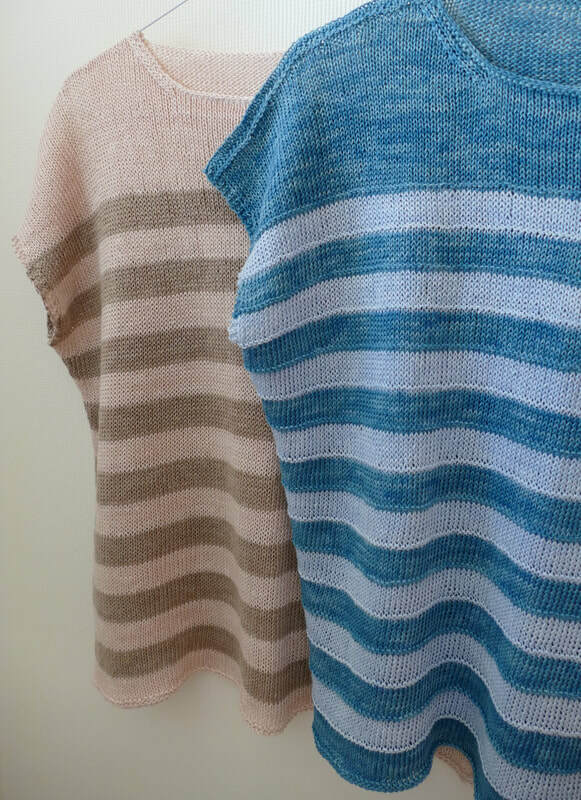 Heidi Kirrmaier has just released a stunning pattern knit with eco-stitch linen yarn in the colour way Serenity. 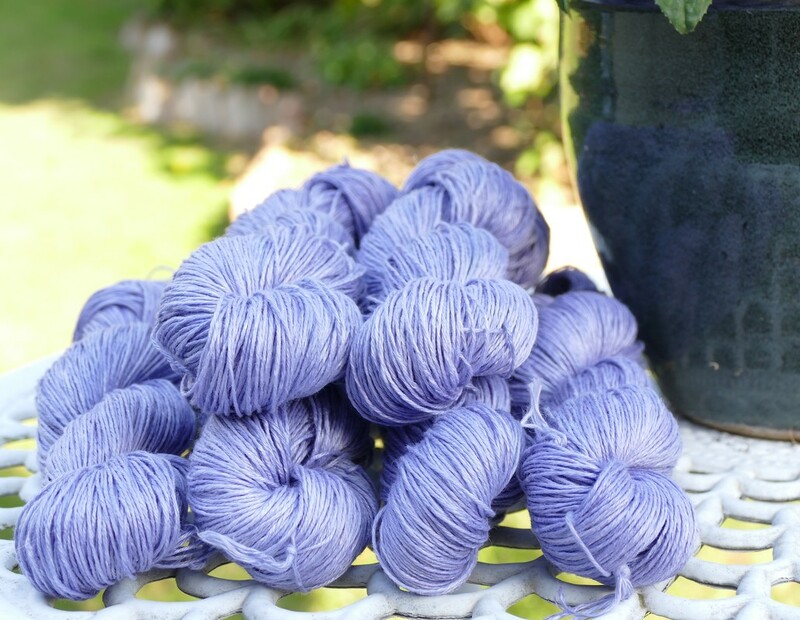 It takes 4 or 5 skeins of our hand-dyed sport weight linen, depending on your size. You can find her pattern here on Ravelry. 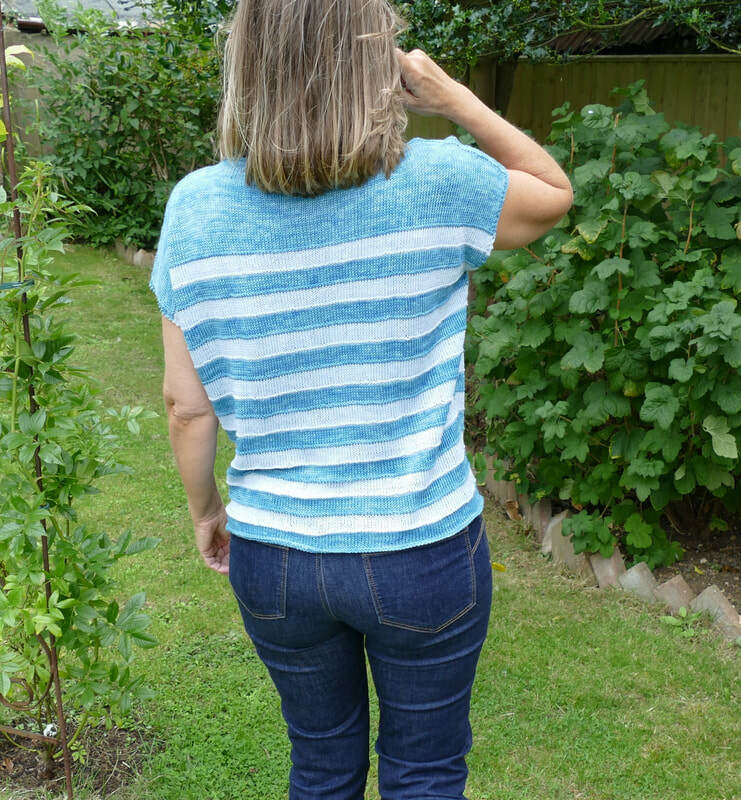 What colour will you choose to make this lovely top? Here is my colour choice below: Cornflower. 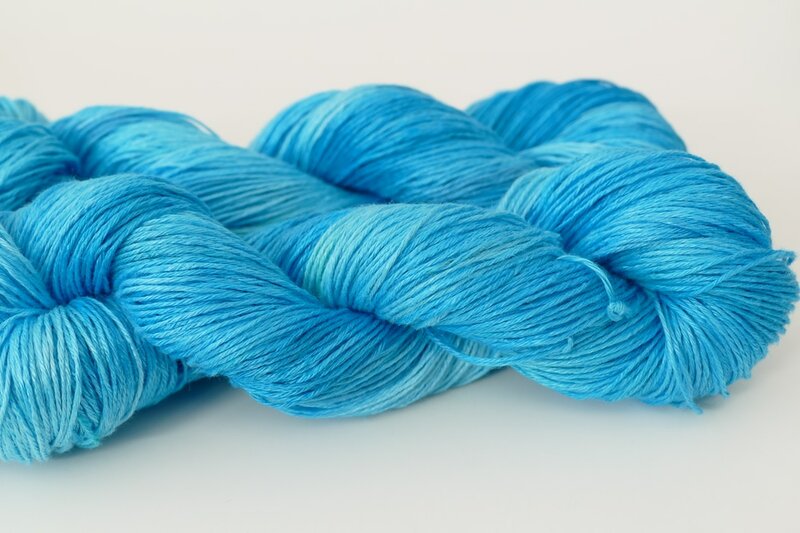 Aquapearl is a new semi-solid in sport weight linen yarn. There is some variation in the colour shade which will give a slightly mottled, watercolour look to the knitted/crocheted fabric. Lilac Mist is also a semi-solid, but with slightly less shade variation. We now have 10+ colours available in our new LinenNaturals range. These are all hand-dyed on the natural silver/beige base colour. Here are our 2 most recent additions. 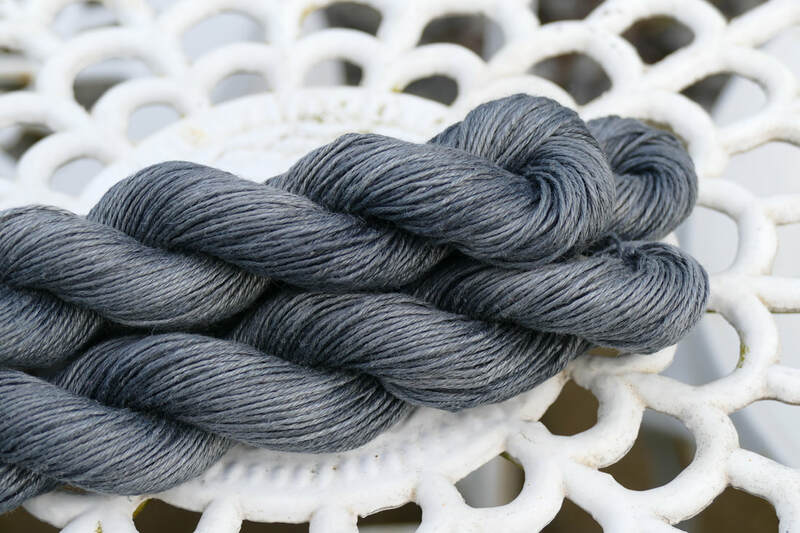 Beetroot and Anthracite, and below them the natural base colour of the yarn. Look out for new later additions to the range! During the run-up to Christmas and New Year, I've been busy making linen spa mitts for gifts. I decided to practise my crochet skills (which are not very developed) rather than knit them. I tried out a new-to-me block stitch, which I was quite happy with. I chose the natural sport weight and the Bliss pale blue colour way. Please contact me if you're interested in the pattern. We finally moved in to our new home end November. 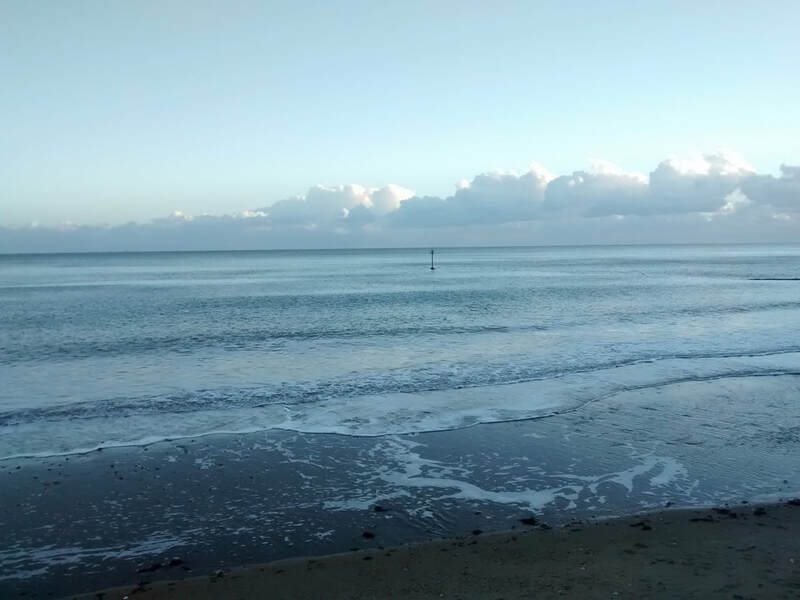 We are now living on the beautiful Isle of Wight off the south coast of England, a few yards from the sea on top of the cliff in Sandown. 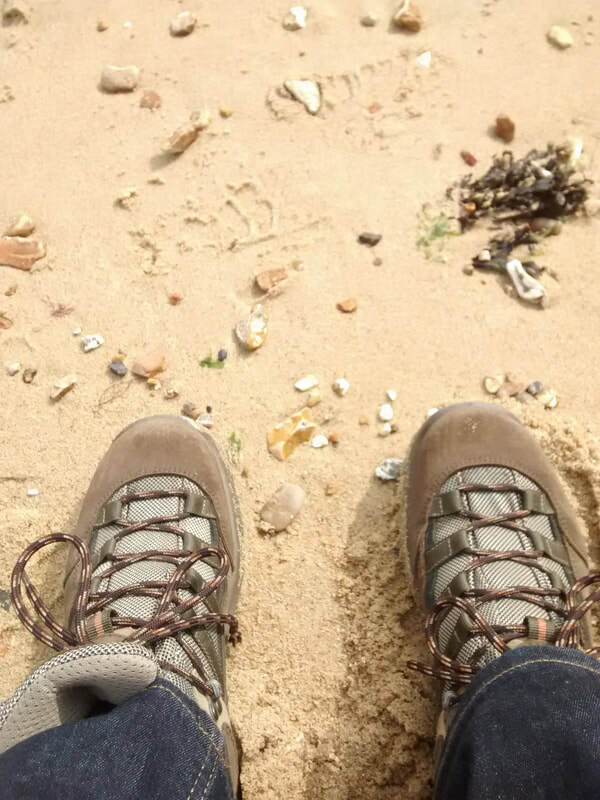 Here are a few photos taken down by the sea a short walk from our house. 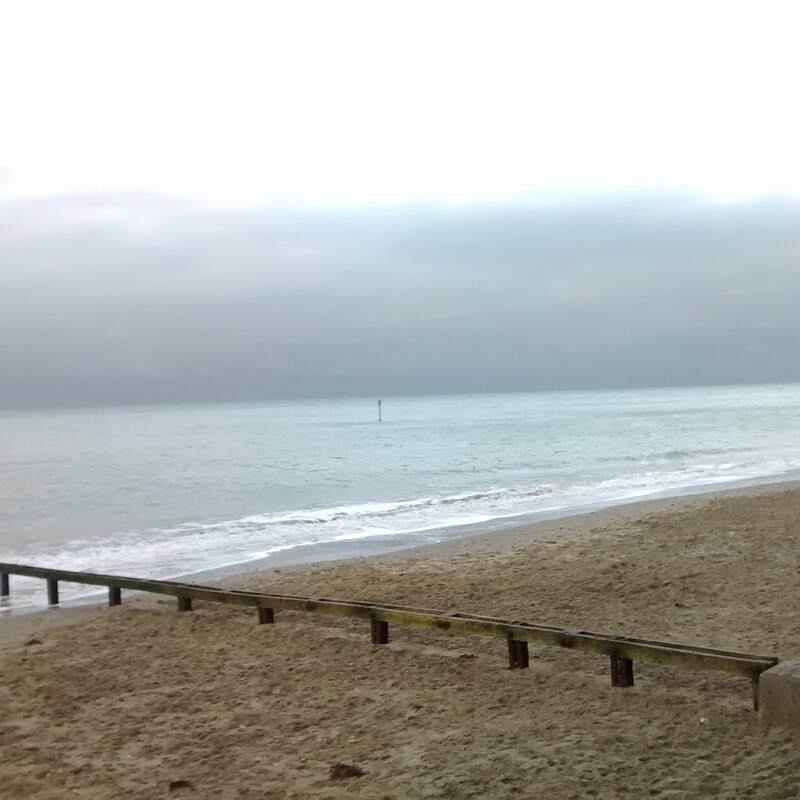 It wasn't very sunny on the days these were taken, but you can see the steely blue of the November sea and the moody skies. I will try to post some brighter, sunnier photos in the Spring and Summer. 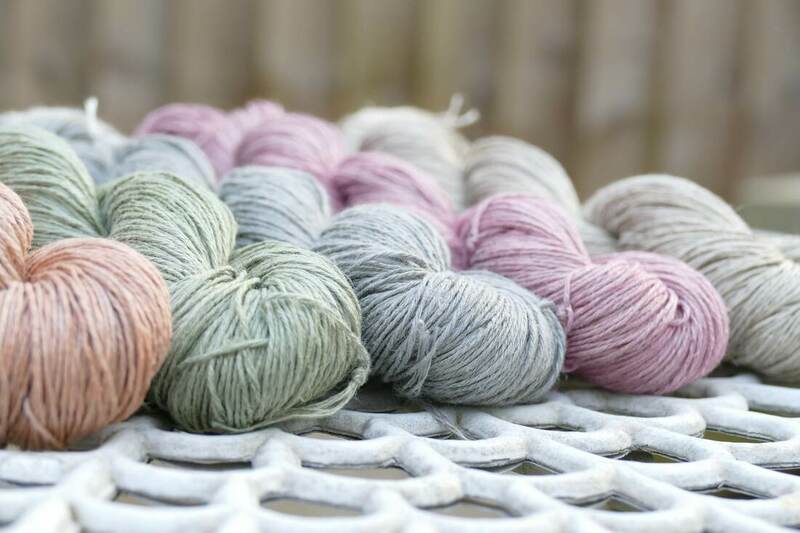 And finally, a few of our hand-dyed linen yarns to add a splash of colour! After living in limbo for one year, we are finally moving house. Hopefully by next weekend we will be in our new home. We are leaving Cheshire and heading South. 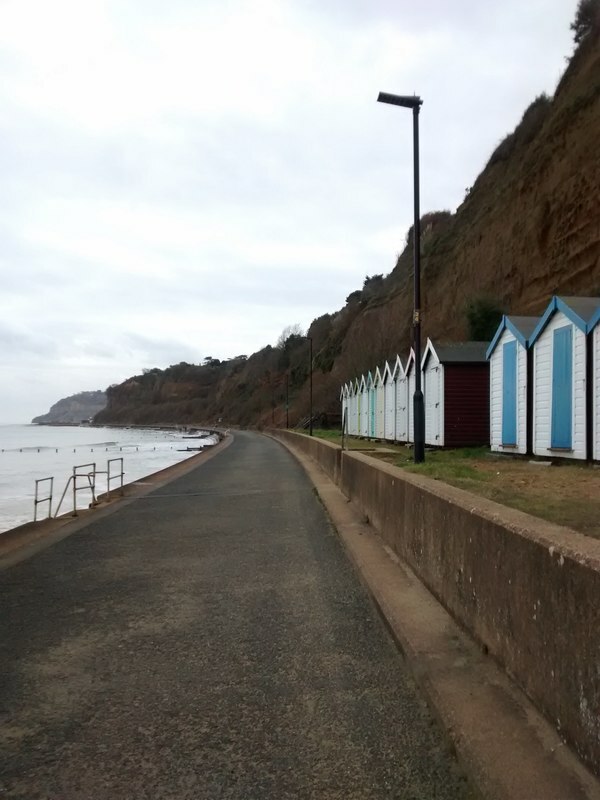 I will not reveal where we are going yet, as I'd rather wait until we are finally there before announcing it, but here is a clue: it will be very close to the sea. I am sorry for any inconvenience this will cause during this week in getting orders shipped out. ​One of the very first tasks in our new home will be to build a brand new dyeing studio. After a rather frustrating few months, I will finally be able to concentrate on dyeing up this marvellous natural linen fibre. In the meantime, here is one of the many ways you can put linen to use in your home. 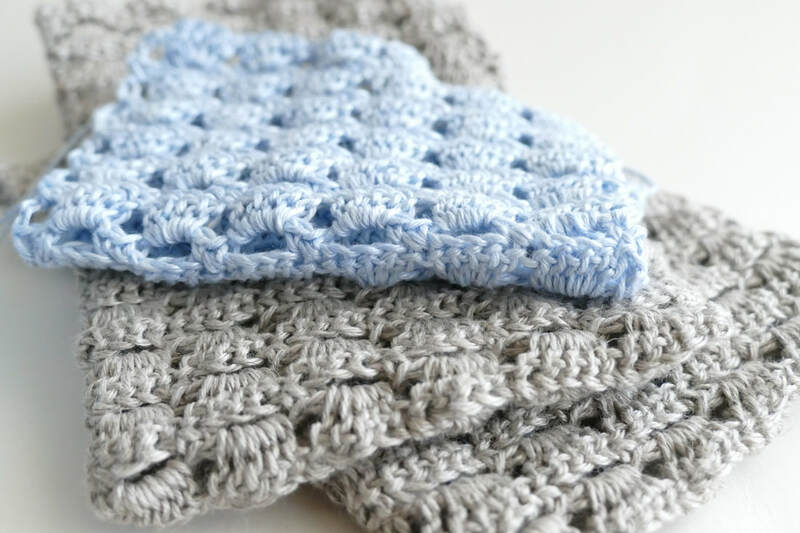 I whipped up some linen scrubbies on the knitting machine and they are great for washing the dishes. When they need a clean, just throw them in the washing machine. SPECIAL OFFER ON UNDYED LINEN YARN. We are offering a very generous 25% off our undyed soft white and natural sport weight linen yarns until the end of October 2017. 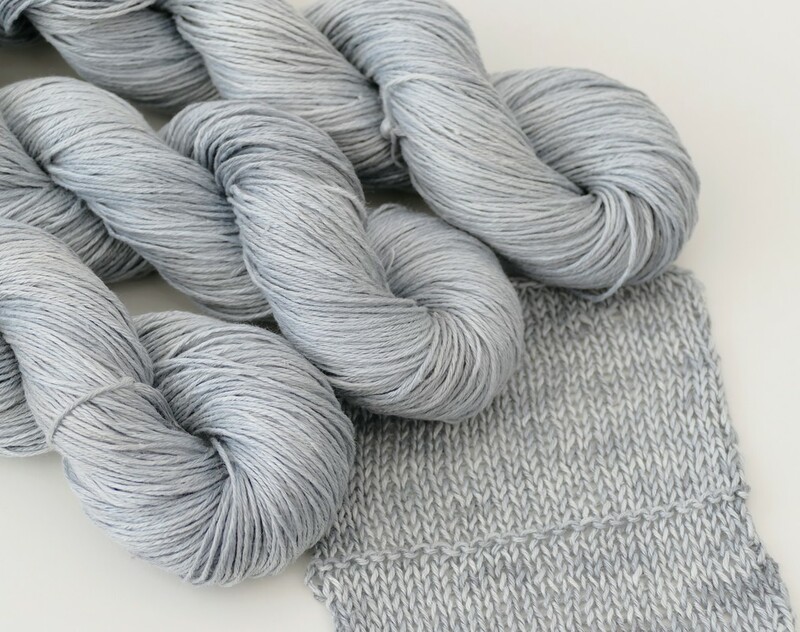 If you want to try dyeing linen yarn for yourself, we recommend the soft white here. 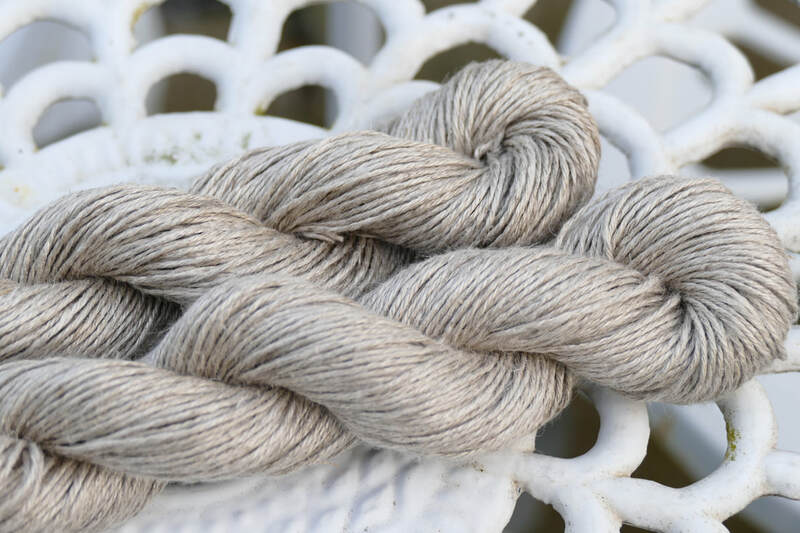 For a 100% natural yarn in all its splendour, try the natural undyed with its silver beige colour here. 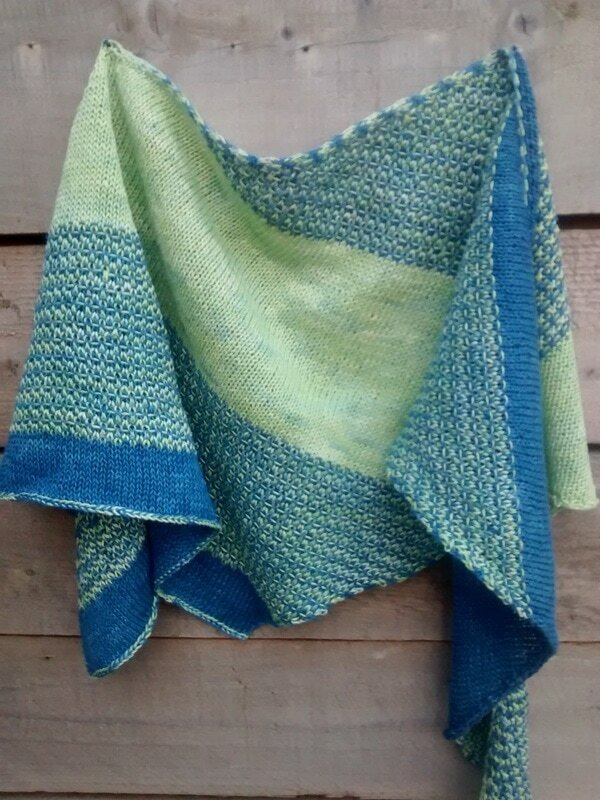 I recently had the pleasure of taking part in a test-knit for a pattern called Fluxion on Ravelry. 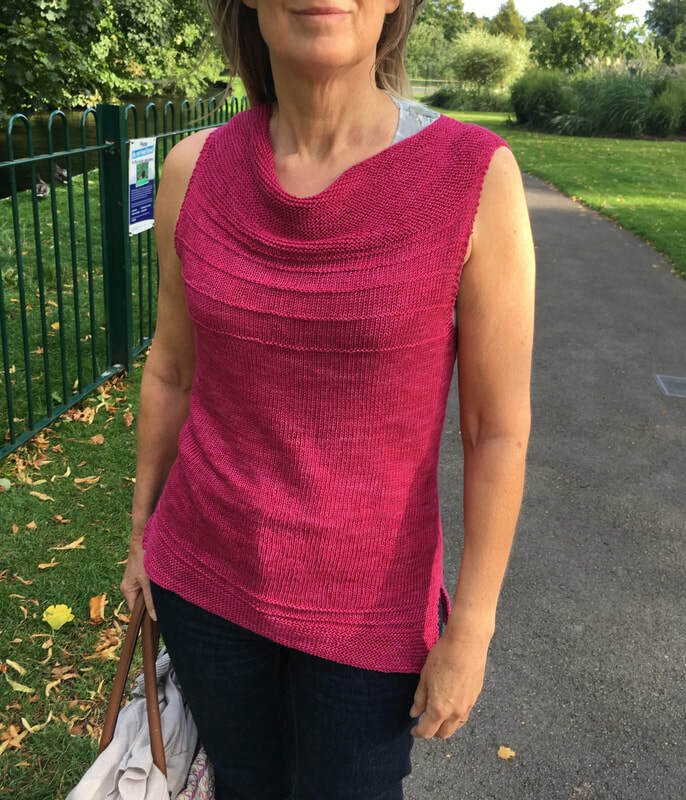 The pattern was designed by Claudia Eisenkolb (himawari) and is recommended for silk yarn, but I made it out of eco-stitch linen sport weight yarn in the Hot Pink colourway. The cowl neck gives an elegant finish to the top and the linen yarn gives it the ideal drape. Click here to see more photos on my Ravelry project page. Two new colours have just landed in the shop. One is a semi-solid grey with light/dark variations. It is called Cloud. It is slightly lighter than Steel, as you can see from the knitted samples below. The second colour is Azure, a beautiful bright turquoise with subtle light green highlights with a hint of darker blue. I have now finished a series of 4 linen scarves in different colour ways, using my own design, the Calva Dorsa, which I posted about a few weeks ago. i must admit this is quite an addictive knit. 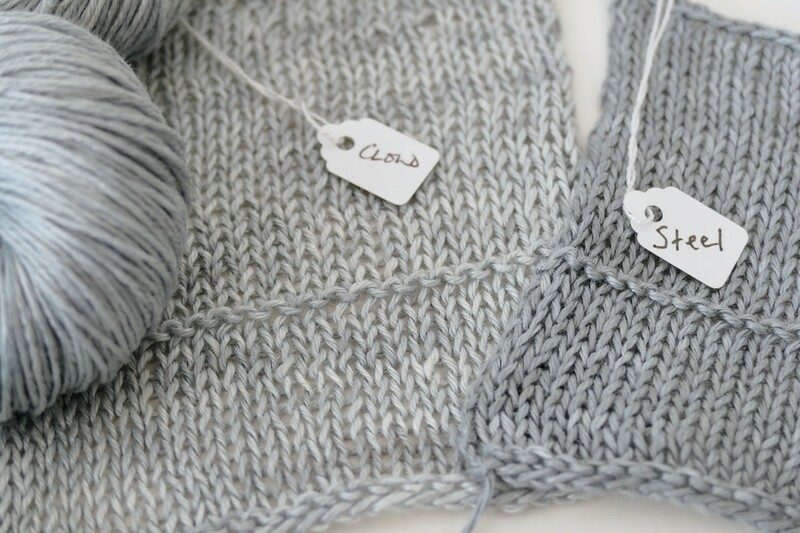 No sooner is one off the needles than you want to choose 2 new colours to see how the combination will turn out. The scarf makes a great gift, although I will be keeping the very first one (the prototype!) for myself. It only takes 2 skeins of Sport weight yarn and the colour combinations are endless. A feature of the pattern is that there are only 4 ends to weave in, despite changing colour blocks along the length of the scarf. 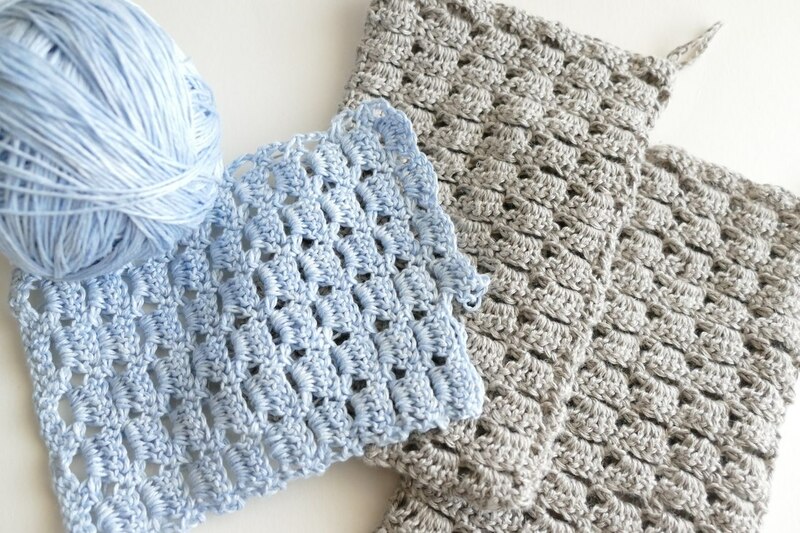 The pattern is still free if you purchase eco-stitch yarn to make it (coupon code). It's very hard to choose a favourite, but for the moment I think the Hot Pink one is winning for me. 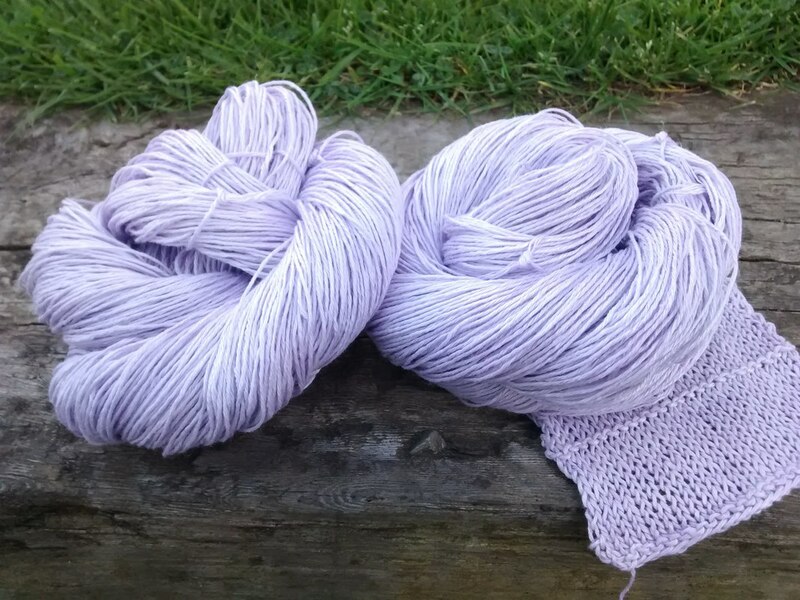 The introductory offer (15% discount), announced in my last post for the 4-ply/Sport Natural linen yarn will continue throughout May. On top of this, we are adding the undyed 4-ply/Sport Soft White to the offer. 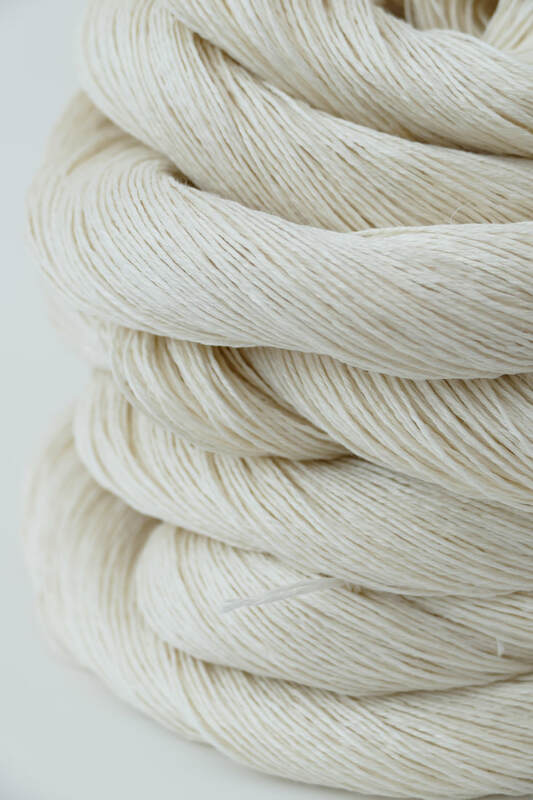 The Soft White (undyed) will be ​20% off, making it only £7.20 for a 100g skein. You can use it as is or it can also be dyed up for your project. These reductions have already been applied to the shop. Soft White 4-ply Sport linen yarn (undyed). 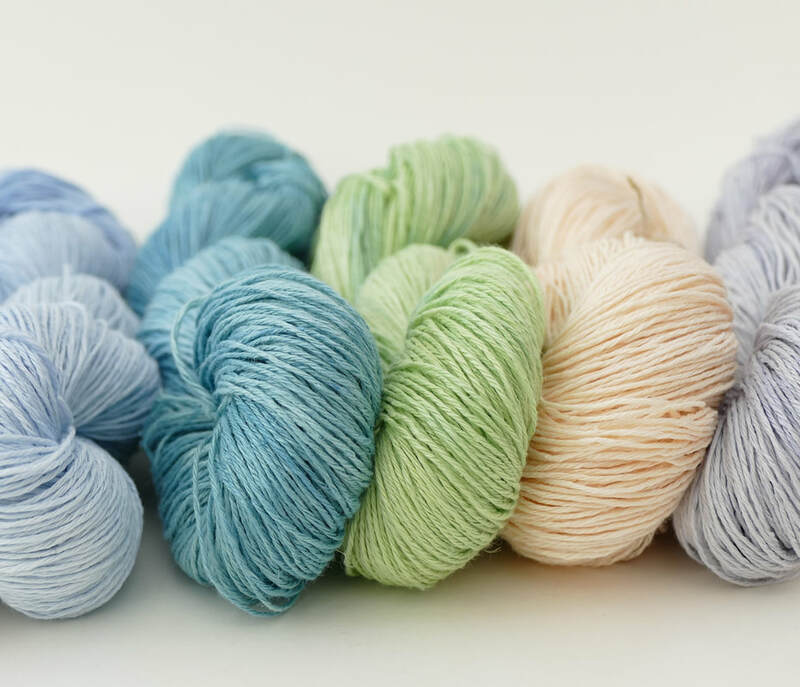 The new addition to our range of linen yarns is the 4-ply Sport weight natural yarn, as mentioned in our last post. 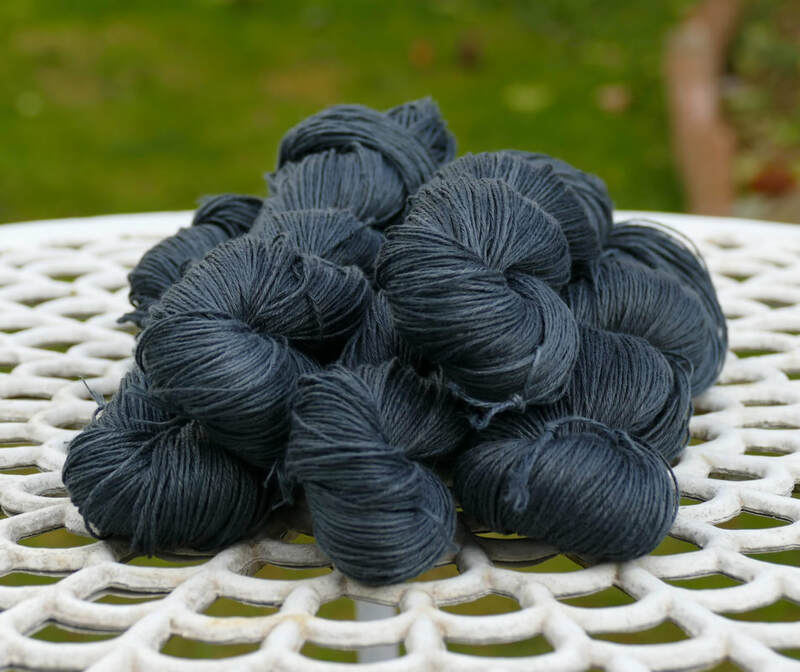 There is currently a 15% discount on 100g of this linen yarn until May 15th, making the price £7.65 a hank instead of £9.